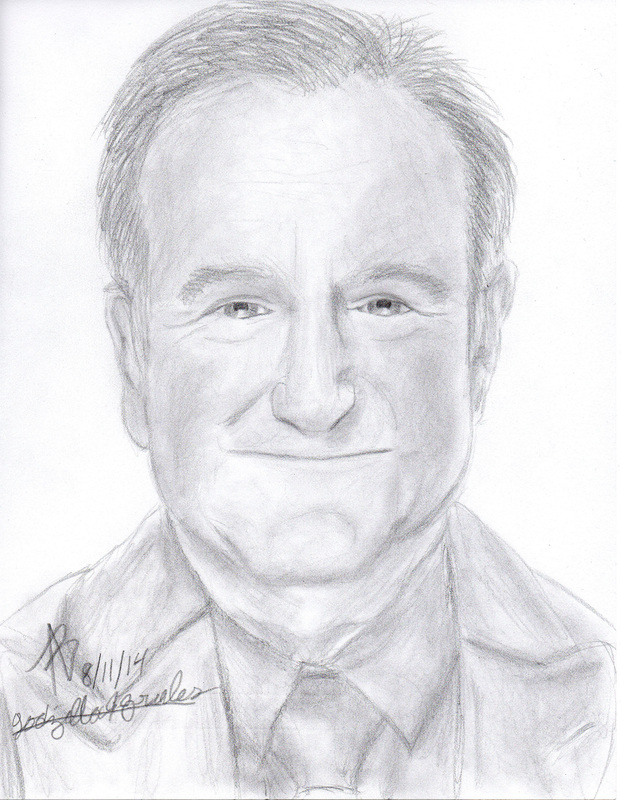 After hearing about his death, I decided to do a portrait of one of the best comedic stars: Robin Williams. This is the latest portrait as of this post (8/11/14). As with my previous two portraits, I used absolutely no measurements. I am greatly pleased with my improvements.